The Greens have condemned the paltry fine given to gas company Santos for not having appropriate approval for using treated coal seam gas water and called for an increase in penalties for breaches of licences or misconduct. NSW Greens MLC and Resources spokesperson Jeremy Buckingham said, “Santos has today received an inadequate fine for using treated water from its Narrabri coal seam gas operations for irrigation at Leewood without the appropriate approval. “In practice, a $1,500 fine is a slap-in-the-wrist for a big gas company like Santos who see the weak penalties for breaches as merely another cost of doing business. “AGL’s attempts to irrigator saline treated coal seam gas water at Gloucester ended in failure. The Santos attempts, even if legalised, will also end in failure. “In the United States, they call irrigating land with coal seam gas water “land farming”. They basically contaminate the land and let salt tolerant weeds grow. “There are serious questions that remain unanswered about the use of coal seam gas in NSW. The safe disposal of the large amounts of salt and wastewater generated by coal seam gas operations is a massive issue and one companies like Santos have yet to be resolved. “The regulation of coal seam gas is not up to scratch in NSW, with this breach at Narrabri the latest in a long line of breaches and pollution incidents involving various coal seam gas projects. “The Greens call on the Government not to grant any approval for the use of treated coal seam gas water until it can be proven safe and for an increase in penalties for breaches of licences or lack of appropriate approvals,” he said. The IPCC’s Special Report out today outlines a climate catastrophe of unprecedented scale and impact on our community and nature if global warming is permitted to rise by more than 1.5 degrees. an increased risk of long-lasting or irreversible changes at 2 degrees, including the loss of more species and ecosystems. In terms of fossil fuels, the report finds coal use for electricity must be virtually eliminated by 2050 if the 1.5-degree limit is to be met. Greens Energy and Resources Jeremy Buckingham said, “Today’s IPCC Special Report is a call to arms — the coming decade is critical in the fight to protect the people we love and our planet from dangerous climate change. 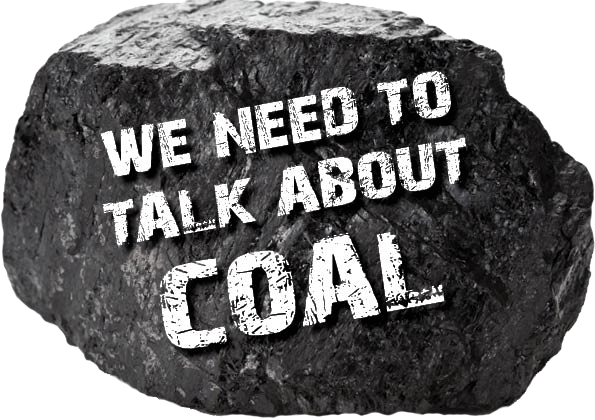 “That’s why the Greens policy is to phase out coal mining in NSW in the next 10 years. The science of this report makes it clear that we cannot continue to burn coal and protect the climate. “The failure by the Federal Government to have a credible climate or energy policy means that NSW must implement its own climate and energy policies. Victoria, Queensland, the ACT and South Australia all have credible climate and energy policies, while NSW has sat on its hands waiting for direction from the Federal Government. Meanwhile, Federal energy policy has descended into chaos and farce. “The next few years will be history defining. This government and the next can either fiddle while the climate heats beyond our control, or they can transform our community, economy and natural world by phasing out coal and powering our world by 100% renewable energy. “This transformation will bring with it great opportunities for new jobs and innovative technologies. Australia can transition away from being a quarry and lead the way on renewable innovation, exporting our science, know-how and clean solar power fuel to the world. “The task of phasing out fossil fuels is now critically urgent. If the world had acted after the 1992 Rio Earth Summit, the task would be easier, but Labor and Liberals, taking millions from fossil fuel donors, have squibbed it. 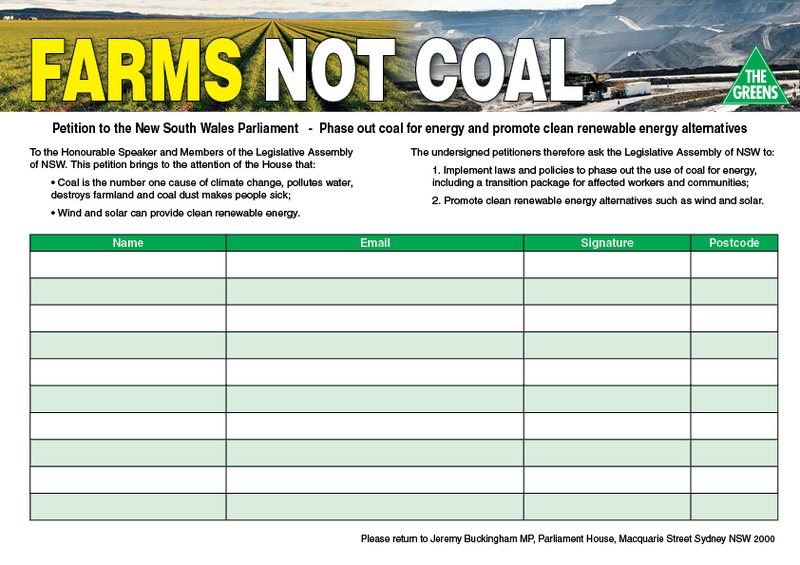 “Climate and energy policy will be at the top of the March 2019 state election, including seats where the Greens are challenging the Coalition such as Lismore and Coogee, and the seat of Barwon where the National’s backing of coal seam gas is deeply unpopular. “The Greens are the only party serious about dealing with the climate emergency in Australia. When will the other parties take steps towards the serious levels of carbon emission cuts we need and admit there is no future for coal or coal seam gas?” he said. The Greens have welcomed the announcement that the NSW Government has cancelled the PEL 461 coal seam gas exploration licence on the Central Coast following strong community opposition. Greens Resources spokesperson Jeremy Buckingham called on stronger action from both the NSW and Federal governments to protect communities against the impacts of coal seam gas activities. “The buyback and cancellation of the PEL 461 exploration licence is a great win for the local community and all who have joined the fight to protect our land and future from coal seam gas,” he said. “But there is important and unfinished business when it comes to protecting communities from the dangers of coal seam gas exploration and production. “The Central Coast community does not support an offshore gasfield off its coastline that would put at risk whales, marine life and threaten valuable fisheries. Prime Minister Scott Morrison should prohibit offshore gas and oil development off the NSW coast. “All NSW communities deserve equal protection from the risks of coal seam gas, farmers and landholders need safety as much as urban communities in marginal electorates. “Right now, there is an active proposal from Santos for a controversial 850-well coal seam field over 95,000 hectares in the Pilliga. “The Narrabri coal seam gas field would become the largest coal seam gas in the state and risk vast areas of woodland, threatened species and groundwater from the Great Artesian Basin. Exploration activities for this project have already seen toxic wastewater leak from holding ponds and contaminate local aquifers. 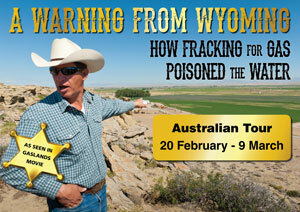 “Coal seam gas is too risky for the Pilliga. The NSW Government should buy back the Santos licence and give the local community greater security over its precious water resources, the Pilliga forest and its future,” Mr Buckingham said. The Greens NSW water spokesman Jeremy Buckingham today accused the NSW Government of creating a loophole which has allowed Santos to avoid paying $3.68 million in royalties on the 4,250,938 gigajoules of gas supplied to Wilga Park Power Station in the four years to last month and millions more in the years ahead. The calculations to substantiate this assertion are below. Last week Santos were granted approval to send all gas produced from 12 existing coal seam gas wells in the Pilliga to their Wilga Park Power Station for 1000 days under a ‘beneficial use’ exemption for gas exploration. The Greens refute Santos’ claim that this is genuine exploration. “Gladys Berejiklian needs to explain why her government has created a loophole which allows Santos, and Santos only, to avoid paying millions of dollars in royalties,” said Greens Energy Spokesperson Jeremy Buckingham. “Santos were only seeking between one and three years to operate the Tintsfield and Dewhurst wells when they got approval in 2009 and 2013. They have now been operated these wells for between four and eight years and there is no justification for an additional 1000 days of testing. There was certainly no detail in the woefully inadequate development application from Santos that has just been approved. “This whole process stinks. 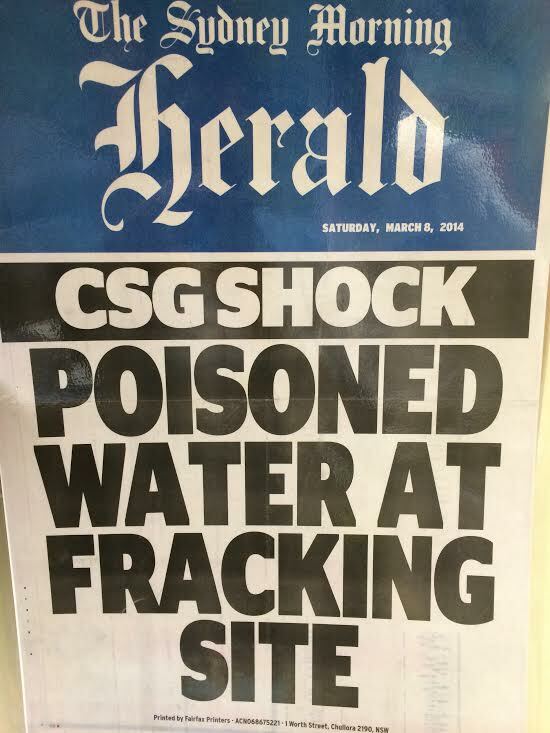 It is coal seam gas production by stealth and a multi-million dollar taxpayer subsidy to Santos. 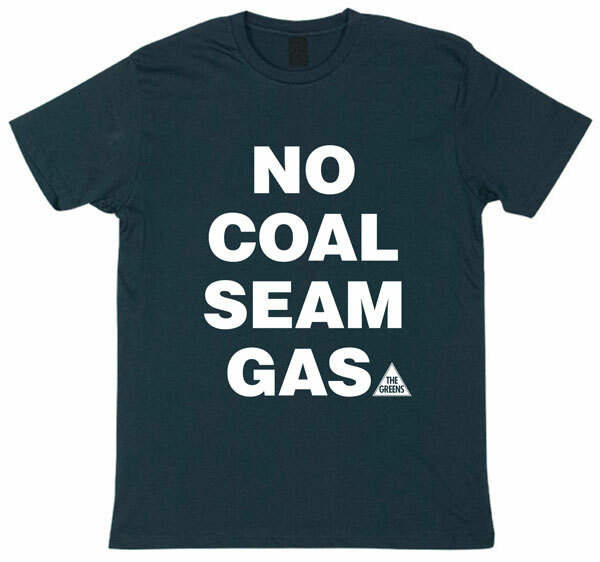 “The Greens oppose coal seam gas as unnecessary, unwanted and unsafe. We do not need a new fossil fuel in an age of climate change and competitive renewable energy technologies,” Mr Buckingham said. The gas prices for 2015-2017 are based on COAG’s 2017 Gas Price Trends Review Report. Based on the previous Gas Price Trends Review 2015 report, the gas price for 2014 was about $7. According to the ACCC Gas Inquiry 2017-2020 interim report from April this year the “range of producer prices for gas supply in 2018 under the more recent GSAs is between $8.60/GJ and $9.80/GJ”. Under the exemption Section 28B of the Petroleum (Onshore) Act 1991, which allows the beneficial use of gas yielded through prospecting, it is left up to the regulations whether a royalty is payable. The regulations were silent on this until 2016 and so no royalty was payable before then. When the 2016 regulations brought in a 10% royalty for beneficial use (Section 16) the government put in a loophole which means that if the recovery and use is authorised by a relevant development consent granted under Part 3A, 4 or 5.1 of the Environmental Planning and Assessment Act 1979 before 18 December 2015 they don’t have to pay. Santos’ Wilga Park power station is the only project to which this loophole applies. On 18 July 2014 the Government approved an amendment to the Wilga Park Power station approval allowing the use of coal seam gas from existing or future wells within PAL 2 or PPL 3 at the Wilga Park Power Station. b) for a period of 3 years from the date of commencement of such receipt, in the case of any well which is drilled following the date of approval of Modification 3. Note: The purpose of this condition is to ensure that the supply of gas to the power station arising from gas flow appraisal at exploration and/or appraisal wells is limited to a reasonable period. Supply of such gas to the power station from wells located within a Petroleum Assessment lease for longer periods would require further modification to this approval. Santos then applied in August 2016 to expand this ability to use gas at Wilga Park so that it applied to all their “existing or future wells within PEL 238” – they subsequently dropped this application. In May 2017 they applied to scrap the 3 year limitation on use of the gas and extend it for another 3 years “to enable the ongoing use of natural gas extracted from coal seams in the Wilga Park Power Station whilst continuing to assess and appraise the gas.” This was approved in July 2017. Santos then applied for a further extension of their beneficial reuse, along the lines of the withdrawn 2016 application, for gas “from the Tintsfield and Dewhurst South 26-31 pilot wells located within PEL 238.” The justification given for this increased use is to “increase the supply of gas available to the power station”. This will mean Santos is able to extract gas from an additional 12 coal seam gas wells in the Pilliga without any Environmental Approval – essentially production by stealth. This was approved on 23 July 2018. NSW Greens energy and resources spokesman Jeremy Buckingham called on the government to cancel or buyback petroleum exploration licences (PELs) covering the Liverpool Plains after the resources minister Don Harwin admitted in Question Time that the PELs were connected to the Narrabri gas project proposed by Santos. “The minister has let the cat out of the bag and confirmed what farmers have always fears – that the Narrabri gas project is the thin end of the wedge for coal seam gas across the region. “It’s concerning that the Narrabri gas project may eventually expand to include coal seam gas wells on the Liverpool Plains. “While Santos says it has ‘no plans’ to drill for gas in its exploration areas over the Liverpool Plains, the exploration areas are clearly connected and if the Narrabri project is approved they may become active exploration areas. “The nature of unconventional gas is that it has to continually look for new gas wells to replace older wells. It moves across the landscape in a grid pattern. “Farmers on the Liverpool Plains and elsewhere are right to be concerned that if the Narrabri gas project goes ahead, there area may be targeted for gas in the future. Mr JEREMY BUCKINGHAM ( 16:23 ): My question is directed to the Minister for Resources, and Minister for Energy and Utilities. Six petroleum exploration licences cover part of the iconic Liverpool Plains. Given that at Santos’ recent annual general meeting its chief executive officer Kevin Gallagher told farmers that Santos has no plans to drill the wells in the Liverpool Plains but it cannot excise those parts of its licences that cover the Liverpool Plains and that it is something it will have to live with, will the Government provide certainty to the farmers of the Liverpool Plains by cancelling or buying back the parts of the petroleum exploration licences that cover the Liverpool Plains and permanently rule out gas extraction in this area? The PRESIDENT: Order! I call the Hon. Rick Colless to order for the first time. The Hon. DON HARWIN (Minister for Resources, Minister for Energy and Utilities, and Minister for the Arts) ( 16:24 ): I thank Mr Jeremy Buckingham for his question. As he indicates, those licences do have a connection with the Narrabri project that is currently being investigated by Santos. The Santos-Narrabri project and its associated environmental impact statement [EIS] were lodged on 1 February 2017 and exhibited between February and May last year. It is a matter of public record that the EIS attracted a large number of submissions from the community and Government—the highest number of submissions ever received for a publicly exhibited EIS. Mr Jeremy Buckingham: Point of order: My point of order relates to relevance. I do not believe the Minister is being genuinely relevant to the question which related to petroleum exploration licences over the Liverpool Plains. The Narrabri gas project is a distinct project. I asked a question about petroleum exploration licences [PELs] and not about the Narrabri gas project. The Minister has talked only about the Narrabri gas project. I ask that he be drawn back to the substance of the question. The PRESIDENT: I will look at the question. I thank Mr Jeremy Buckingham for his point of order. I believe that the Minister is being generally relevant. The Minister has the call. The Hon. DON HARWIN: The project can deliver on the Government’s priorities for a secure, reliable and affordable gas supply for the residents of New South Wales within the current market and related gas supply framework. It can provide a mid-to long-term domestic gas supply in New South Wales. It can also offer certainty to wholesale and retail customers in the short term by providing insulation from price shocks. It will have the capacity to generate up to 50 per cent of the State’s gas supply at peak production, or 200 terajoules a day for more than 25 years. I visited the site of the project and some of the wells that have been dug. I spoke to people in the community who are concerned about the project and I met with a range of groups in the Narrabri community. There is extremely strong support for the Santos-Narrabri gas project in the town of Narrabri. The community understands what this project is worth to the town. It also understands the royalties and what that would mean for the State Government. Mr JEREMY BUCKINGHAM ( 16:30 ): I ask a supplementary question. 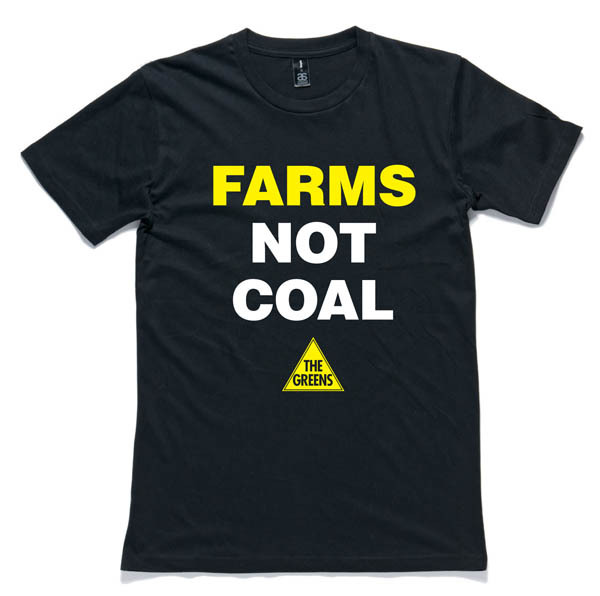 Will the Minister elucidate his answer about his comment that the petroleum exploration licences over the Liverpool Plains were “connected to the Narrabri Gas Project” by informing the House how they are connected to the Narrabri Gas Project? NSW Greens resources spokesman Jeremy Buckingham rebuffed Prime Minister Turnbull’s call for the Narrabri coal seam gas project to be approved, saying that the industry did not have a social licence and even if it was approved it would not solve a gas crisis created by policy failure to protect the domestic gas market from unregulated exports. “For years now the citizens of NSW have made it clear that coal seam gas does not have a social licence to operate and political parties of all persuasions have listened to this message to varying degrees,” said Greens MP Jeremy Buckingham. “This is a crisis forged by greedy multinational oil and gas companies, with successive Labor and Liberal-National governments failing to properly regulate gas exports despite repeated warnings from the manufacturing industry, unions and the Greens. “Even if the Narrabri gas project was approved tomorrow, it will face fierce opposition and direct action from concerned farmers and others, it will be several years before the gas will hit the market, and the relatively small amount of gas will have no impact on the international gas price which is now dominating the domestic market. “Why do Australian politicians cower before the idea of sovereign risk? This is a construct of the big corporations and their lobbyists with the result that multinationals feel they can walk all over Australian interests with virtual impunity. “The concept of sovereign risk should not stop governments acting in the national interest, especially when the risk to the manufacturing sector impacts on far more jobs than are in LNG exports. “The pursuit of coal seam gas for export as LNG has been a monumental policy failure and has had catastrophic consequences for the environment and our economy. Now households and businesses are paying the price with rising energy costs and job losses in other sectors of the economy,” he said. The Greens NSW Resources and Energy spokesperson Jeremy Buckingham said that the NSW Premier should intervene to cancel Santos’ Narrabri coal seam gas project following the release today of the Commonwealth Independent Expert Scientific Committee’s scathing report on the project’s impacts on water resources. 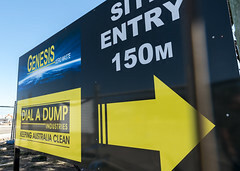 “This report once again confirms that if Santos goes ahead with their coal seam gas project it will be an environmental disaster and highlights the inherent problem of waste products created by unconventional gas extraction. “The creation of vast amounts of toxic waste and salts has always been the unresolvable problem with coal seam gas and this scathing report does nothing to dispel those issues. “The Independent Expert Scientific Committee has sounded the alarm on the potential for “long-term legacy issues” caused by the creation of up to 115 tonnes of salt per day. “Santos’ proposal to simply dump the salt they create in landfill has also been exposed as a farce, with “limited capacity for additional waste” in existing licensed facilities. Maybe their plan is simply to drive the waste across the border to Queensland and dump it there? “It is also alarming that the IESC have “low confidence in the water balance modelling” Santos has used, and have flagged “potential under-estimation by Santos of the risk to groundwater-dependent ecosystems”. “Coal seam gas is unwanted and unnecessary and this report confirms the fears of farmers and the wider community that it is also unsafe. “It is time for the Liberals and Nationals to finally show some leadership and cancel this project once and for all. “NSW should follow Victoria’s lead and ban unconventional gas altogether and unreservedly embrace renewable energy,” Mr Buckingham concluded.